Hull Beats Bus is a mobile recording studio committed to building confidence and giving young people a voice through music and art workshops. Being mobile means that the bus can travel to wherever the greatest need for the work is, aiming to engage with hard to reach or deprived communities in particular. 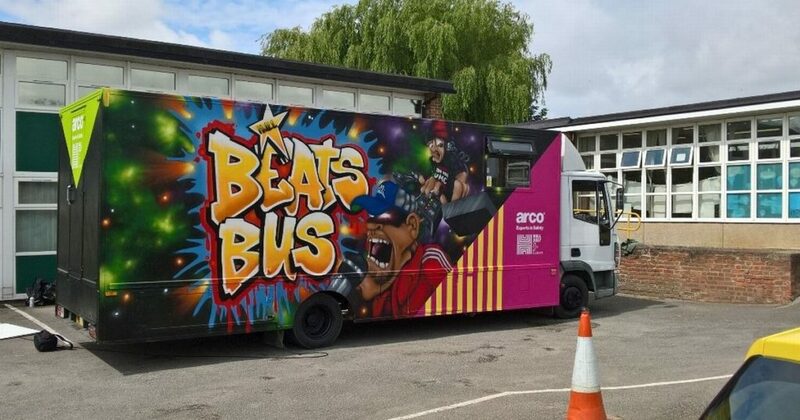 The Beats Bus launched during the 2017 Hull City of Culture, working with over 200 primary school kids, as well as delivering long-term training with a group of children aged 8 to 11 to put on live performances and record their own songs.